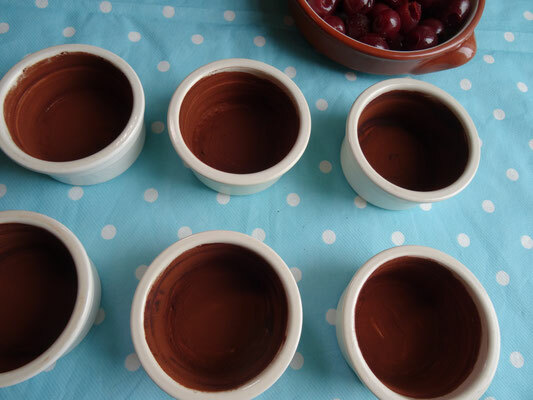 Another easy dessert using tinned fruit, these gooey puds are rich without being too sweet. 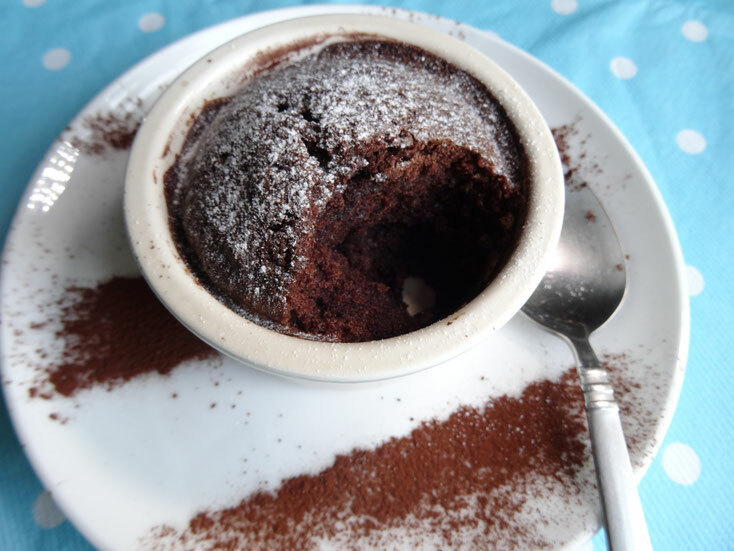 Serve as they are or with a scoop of vanilla ice cream if you like! 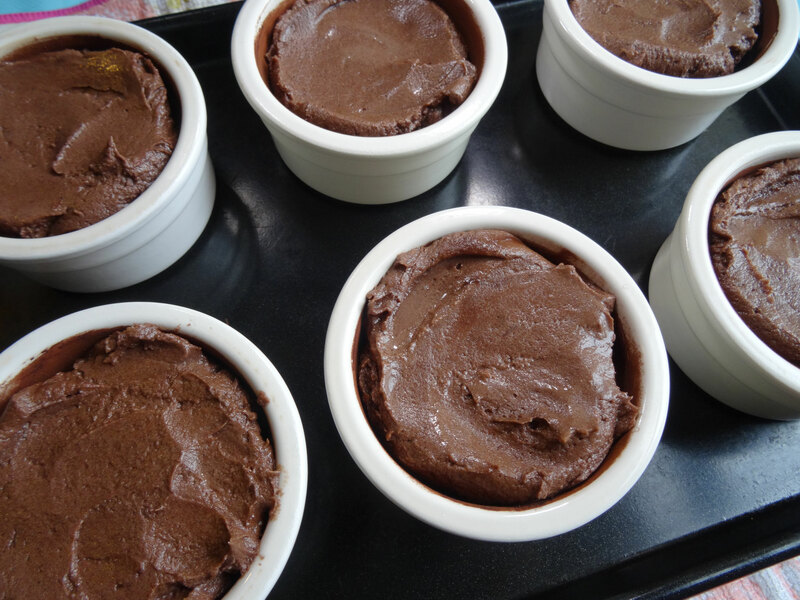 Lightly grease 6 ramekins or small dishes then dust with cocoa powder. 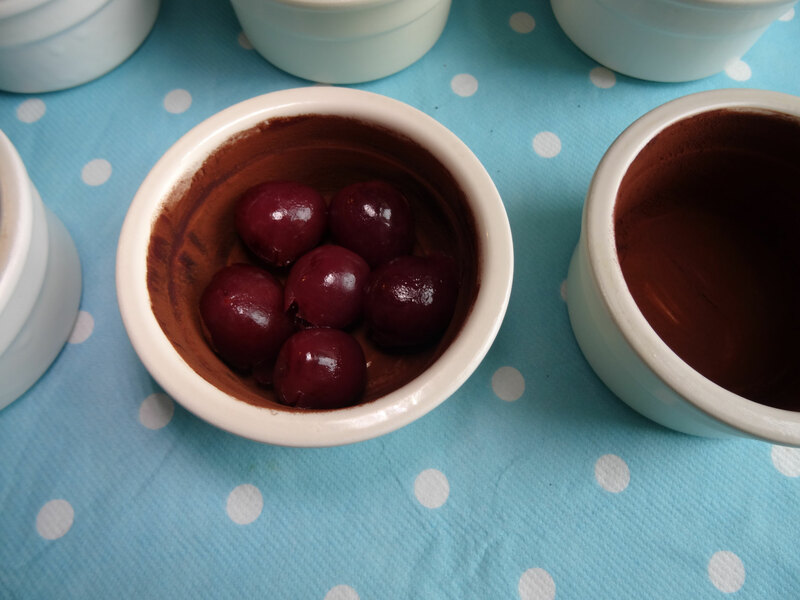 Arrange the cherries in a single layer in the bottom of each dish. 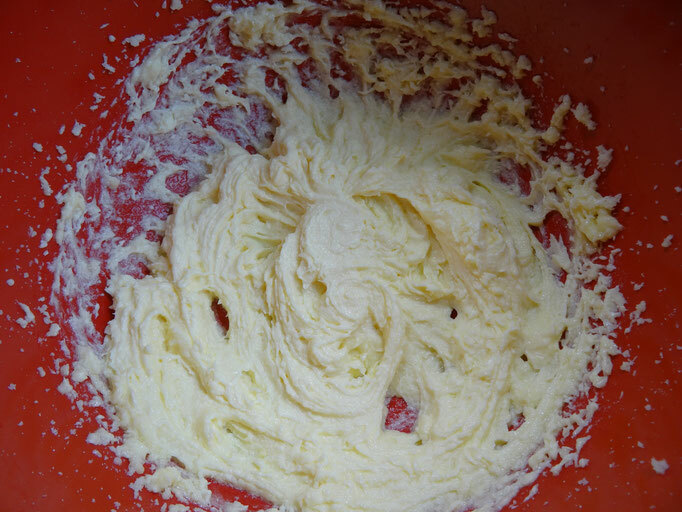 In a large mixing bowl, cream together the butter & sugar until light & fluffy. 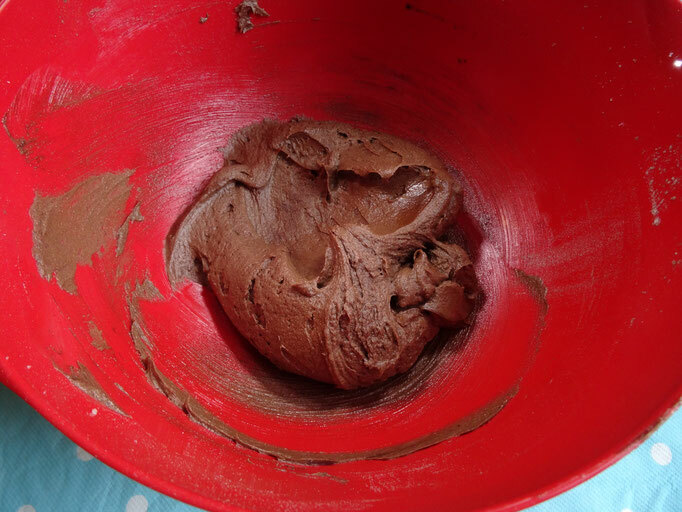 Beat in the eggs one at a time, then sift in the flour & cocoa powder & fold in gently until combined. 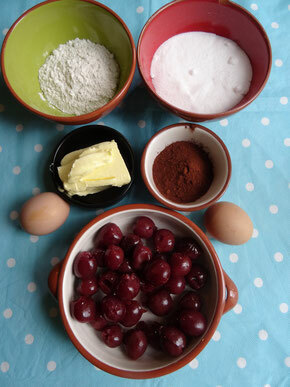 Spoon the mixture evenly into each dish on top of the cherries & level with a wet spoon. 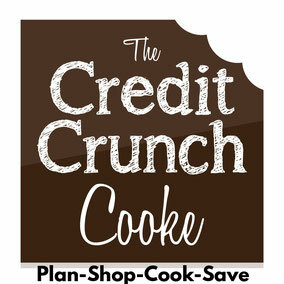 Transfer the dishes onto a baking sheet & place in the oven for 20-25 minutes or until a skewer inserted comes out clean.